General Electric is planning the largest solar panel factory in the United States, looking to get into the growing “green” industry in a big way, and on an accelerated timeline. According to Victor Abate, vice president for G.E.’s renewable energy business, the news follows G.E.’s ongoing investments in solar panels, and takes their efforts to a much larger scale than ever before. G.E. is leveraging their presence in Colorado, setting up the factory there, and bringing direct and indirect employment to about 1,000 people. The new factory will provide employment for 400 workers and create 600 jobs in related business nearby. Having acquired Arvada-based PrimeStar Solar Inc., G.E. is off to a running start with a factory that is already tooled for highly economical thin-film solar panels. The panels are certified by the National Renewable Energy Lab as the most efficient of their kind. 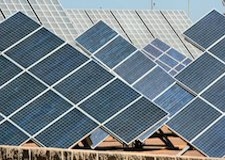 The factory will manufacture thin-film photovoltaic panels, made of cadmium telluride, by 2013. Cadmium telluride panels are less efficient than ordinary ones, but can be produced at a lower cost. G.E. will manufacture the most efficient cadmium telluride panels currently possible, and because of the relatively low expense, expects to produce a high volume annually. There is a healthy market for cadmium telluride panels among utility providers and other large-scale operators. With this announcement, G.E. is signaling again that it is serious about increasing its energy business. G.E. already holds large stakes in nuclear power and natural gas. Recent expansion in these energy sources has been largely through acquisitions. According to Abate, G.E. will be a cost leader and a technology leader. “We’re excited about our position in a 75 gigawatt solar market over the next five years,” he added. G.E. is not alone in pursing the solar panel business, which is very competitive. One major player is Arizona-based First Solar, the market leader in thin-film panel manufacturing. Abound Solar, another competitor, is rapidly adding manufacturing capacity for its cadmium telluride panels. The company recently took out a $400 million federal loan guarantee to fund their expansion. G.E. won’t be applying for federal loan guarantees like Abound Solar has. Instead, they plan to explore state and federal manufacturing tax credits to expand as needed. G.E. faces competition from low-cost, government-subsidized Chinese manufacturers. Without similar cash subsidies available to them in the U.S., G.E. 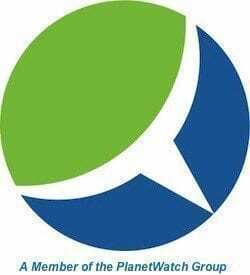 will deal with low cost international competitors as it does already in the wind business.